So you’ve finally found the piece of Jersey Shore real estate you’ve searched for months! What next? Before you sign a contract, make sure it contains a home inspection contingency, a clause stating that your offer is contingent dependent on the results of a home inspection. 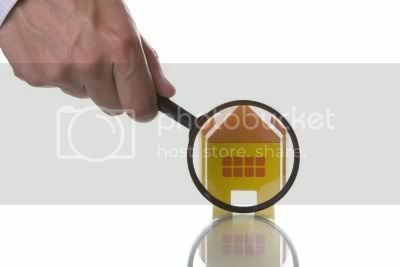 A home inspection is of primary importance because it allows you to obtain an unbiased professional assessment of all the components of the property. It is a step necessary for you to decide if you will stay with your original offer, renegotiate based on documented issues and needed repairs, or back away from the purchase of that piece of Jersey Shore real estate altogether. 1. Credentials and background: Is he/she licensed in your state? Is he affiliated with any respected organizations such as the American Society of Home Inspectors? Membership in these groups requires that inspectors follow strict guidelines about ethics and continuing education. Be sure to inquire about experience and training. A construction-based background is a plus, as is attending a college with an emphasis on construction or attending a home inspection school. 2. Fees: Although you don’t want to spend money unnecessarily, this is not a place to scrimp. Your house purchase is a very large investment, and you need to know as much as you can about it. Do remember that money spent on a quality inspection now will be returned to you by avoiding unexpected costly repairs in the future. The price of an average inspection varies depending on the age, size, and condition of the house. Some inspectors base their fees on the list price of the Jersey Shore real estate. Get estimates from all you contact, but don’t assume that the lowest priced is the best choice for you. 3. Type of report: Some inspectors use computer generated onsite reporting, some a handwritten checklist, and others a computer generated report you won’t receive for few days. By and large, the last option is in your best interests since it gives the inspector time to review his findings, look up any questions he may have, and send you a detailed, descriptive report. He should also be able to provide you with pictures of the problem areas. Feel free to ask him for a sample report. 4. The actual inspection: Make sure that you will be allowed to accompany the inspector and ask questions as he checks out the house and grounds. This is a good time for you to become familiar with the home‘s inner workings, locate shut-off valve and breaker panels, and pick up tips on operating and maintaining different systems. a. Siding, foundation, brickwork, etc. Having your Jersey Shore real estate inspected will allow you to make an informed decision about the purchase of a house and will provide you with both essential knowledge and peace of mind.